The Three Foodies search for Filipino Food! On what was to be our second outing for The Three Foodies, Arceli, Shalni and I had our taste buds set for Filipino food! Arceli said she knew just the place right in our own community. 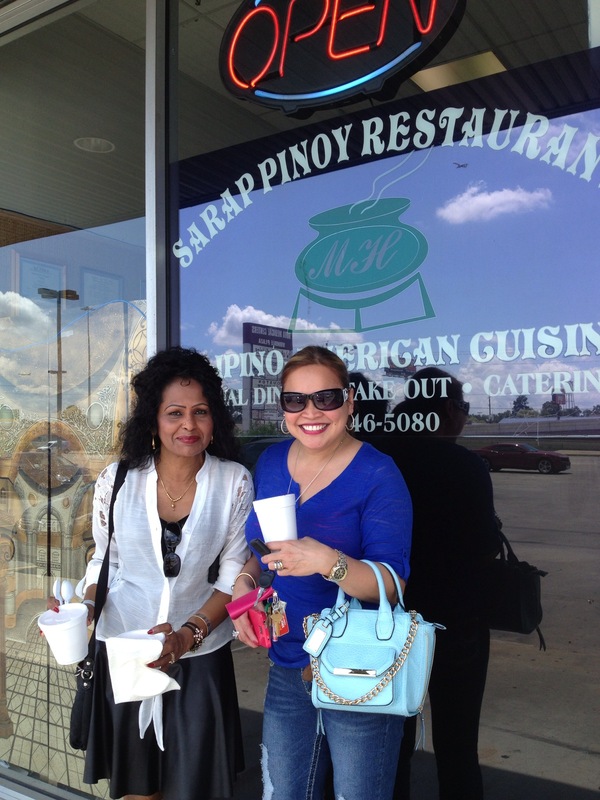 So off we went to the Sarap Pinoy Restaurant in Humble, Texas. 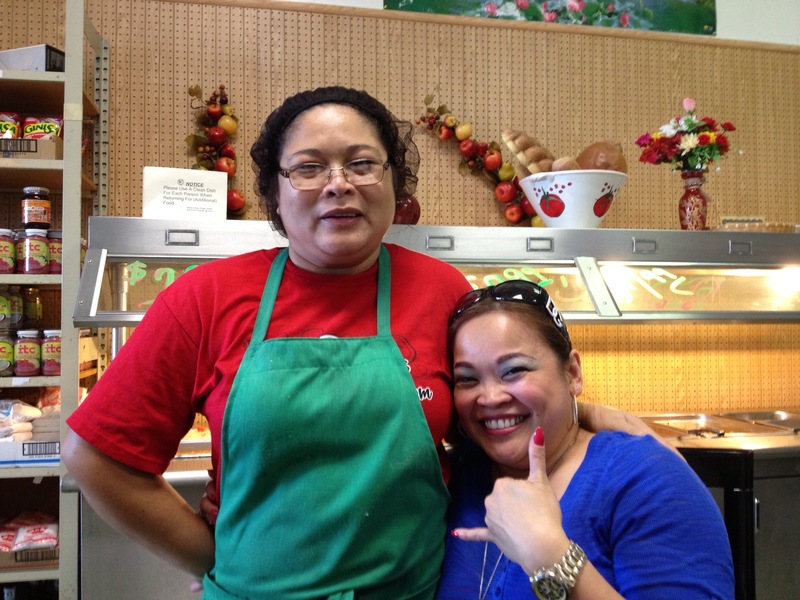 This place offers Filipino-American cuisine for casual dining and take out! It was perfect for our lunch, as it is located on our direct route to shopping at the outlet mall on Rt. 290! Bingo! This restaurant is indeed very casual — a small steaming hot buffet with aromas that drew us in as soon as the door opened. We sampled all the items on the menu, and some of us even ate the adabong posit, or squid! 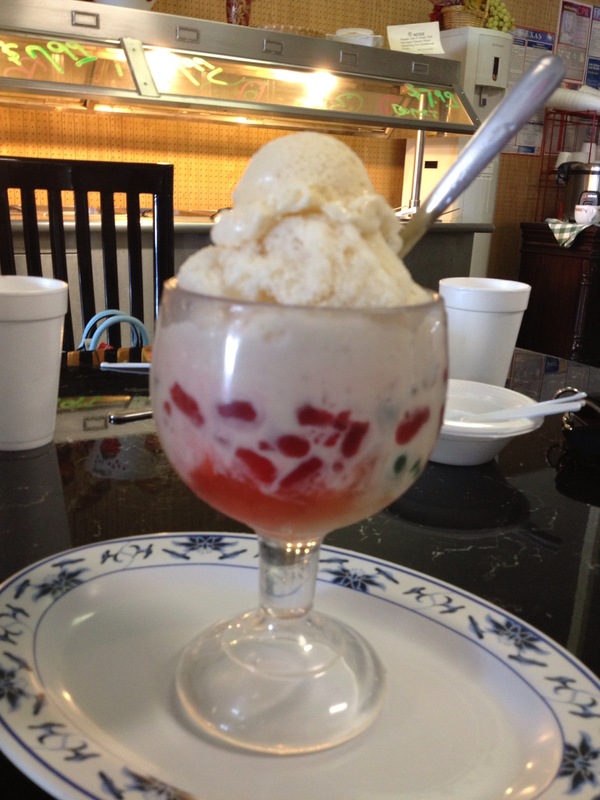 We had to try the “Halo Halo” for dessert, and it did not disappoint! Just look at the photo — it is heavenly! Our shopping trip this time took us to the Houston Premium Outlet Mall, where some serious shopping was about to take place. We all were happy that Arceli brought her fold-out cart for our purchases! We browsed the shops for designer purses, perfumes, shoes and you name it! 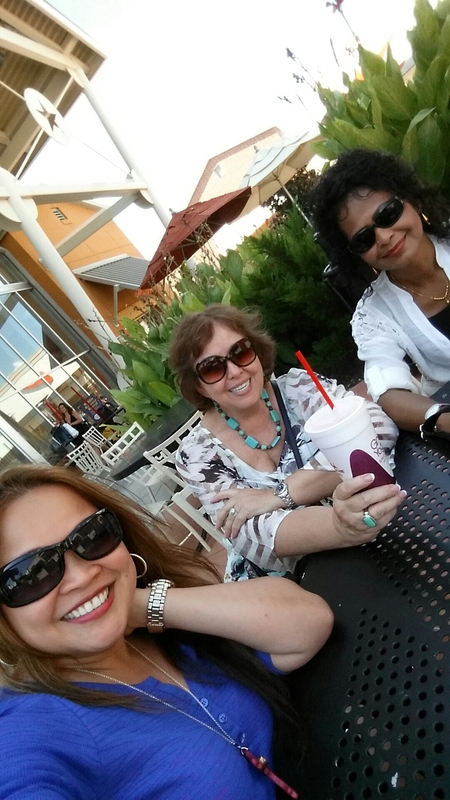 Finally, we took a break for a drink at Smoothie King, before heading home before dark. Now, that was a fun day! ← Friends, food, shopping — a great combination!